The original title for this post was, “I Hate the Olympics.” But I’ve decided to reserve the word “hate” for things that actually fill me with, you know, hate. 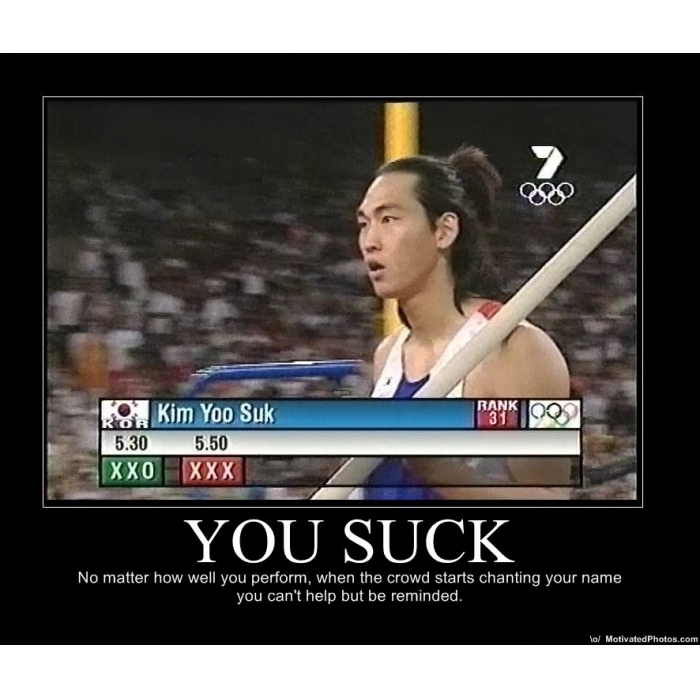 The Olympics fills me with disappointment, resentment, sadness, and discomfort. But not hate. The London games were well done and, no doubt, entertaining. I adored the opening and closing ceremonies for the well produced feats of entertainment that they were; I am a lover of all forms of British entertainment, especially her music and comedy. Count me among those who appreciated Russel Brand’s singing skills; though I hope I never again have to see or hear Liam Gallagher nasally whine his way through another atonal song. And the athletic achievements were no doubt impressive. As were, likely, the degrees of sacrifice that participants had to make. All of which is irrelevant to my basic opposition to it all, which has to do with the tendency for all international sports competition to leverage and foster forced patriotism and nationalism. In my opinion, nationalism is the foundation for most of the world’s historic ills. When sports are played beneath a flag, sport becomes a proxy for warfare. In fact, most anthropologists would argue that that was in fact the basic force compelling the creation of organized sports by the human animal: tribalism and tribal warfare by another means. Please note that I make this argument as one who has competed in sports (specifically squash, karate and kickboxing) at the college, provincial and even national levels. (Though not very well, to be honest.) So I understand how much of a life-changing and meaningful experience this can all be for the athletes involved. There’s something troubling about the mindless association of sport with geography and community. Why is the national anthem played before a professional sports match? Why is this corporate exercise conflated with forced, official patriotism? The obvious answer is because there is an overt attempt to clumsily associate the otherwise pointless activities on the field with the artificial tribalism of the audience. We don’t play the anthem before any other job that we do. It’s not a surprise that both sports’ failures and sports’ successes are so often associated with community violence, as the proxy warfare bleeds over into actual poor human behaviour. In short, in my opinion, the glorification of spectator sports (as opposed to the celebration of individual achievement) leverages the worst human impulses, and does so deliberately and unavoidably as part of the process of packaging the endeavour beneath a flag, jurisdiction or fan base. The Olympics pretends to be about individual achievement and the excellence of the human animal. But it’s really about which country gets the most medals: “our” athletes against “their” athletes. In a word, tribalism. There seems to be an unspoken assumption that a medal won by a countryman is somehow reflective of some superior quality to our society or community, other than the fact that we threw a lot of tax dollars at a training facility. Why else would anyone care about such otherwise obscure pursuits as diving, synchronized swimming, luge or the shotput? If these activities were happening in your community, without the benefit of forced nationalism and tribalism, I’m pretty sure that no one other than the competitors’ parents would attend or care. All of that is bad enough. But when you add in the crazy elevation of these rather silly physical activities to levels of life-changing importance, the idiocy of the spectacle becomes more evident. I’ve been a competitive squash player all my adult life, but I would never argue that playing squash is the least bit important to anything. I’ve trained in over a dozen martial arts, and competitive karate has been a central tenet to my life and my development as a person. To the extent that that activity has built my character through discipline and hardship is a thing worth celebrating. Sports and physicality have genuine qualities for individual development. But that’s separate from the actual value of the activity it self. Whenever I have this conversation with a defensive sports fan, a common refrain is, “Well what they do is hard! You couldn’t do it!” Firstly, I can’t do most things. If my abilities are to be the litmus test for the value of human achievement, we’re in a sorry state indeed. But, more to the point, I like Chris Rock’s joke (about another topic, to be honest): “Sure it’s hard. Know what else is hard? Driving with your feet.” Simply being difficult doesn’t make an activity useful, valuable or worthy of emulation. What am I going on about? This, the story of the Korean fencer who literally bawled like baby while waiting on the piste for the results of an appeal, after being the victim of poor officiating. Yes, the ruling was unfair. Yes, I get how winning a gold medal can translate into sponsorship riches (though probably not in fencing), so the stakes might be high. And yes, I get how athletes invest so much emotionally in their competitions. I get all that. I get why she bawled like a freakin’ baby. But, you know what? I still find her behaviour bloody offensive. And I find it more offensive that no one else seems to think so. The discourse has been all about how the appeal process needs to be more responsive. All right, fair enough. But fencing is a game. All sports are games. This is the epitome of that current Twitter meme, #firstworldproblems: if the worst thing that’s happened to you this year is that you lost a game, then you’re doing just fine. Now stop you’re bawling and go enjoy the London nightlife and all the other ways in which your life as an Olympic athlete is pretty amazing. Whose fault is it? All of ours, for letting this person believe that playing make-believe sword-fight is somehow important. It’s not. What is important, you ask? As a friend once put it, not hitting squirrels with your car is important. A game is not. My complaint is that somehow these bloody games have been elevated to the level of life-crumbling importance, rather than being vehicles for personal development and the demonstration of both excellence and fair play, as perhaps they might have been portrayed one day in the distant past. 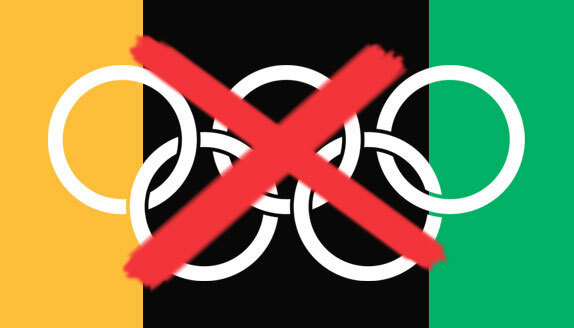 The Olympics are not about athletic excellence. That’s what the various World Championships for each sport are for. Does anyone really think that an Olympic gold medal in basketball is somehow a greater indicator of basketball excellence for Koby Bryant than his various NBA championships? The Olympics are gaudy, and in my opinion offensive, spectacles of national posturing. For example, China’s arrival in the big boy’s club of economic powerhouses is indicated by its medal count. These games are nations’ demonstrations of wealth and power, and they seek to leverage some of the basest impulses in the human animal, all falsely dressed up as a celebration of global brotherhood and fair play.